Speedmaster estimates this item will ship on or before May 1st. Speedmaster flexplates are the best on the market, made from 4340 round bar to exact tolerances. 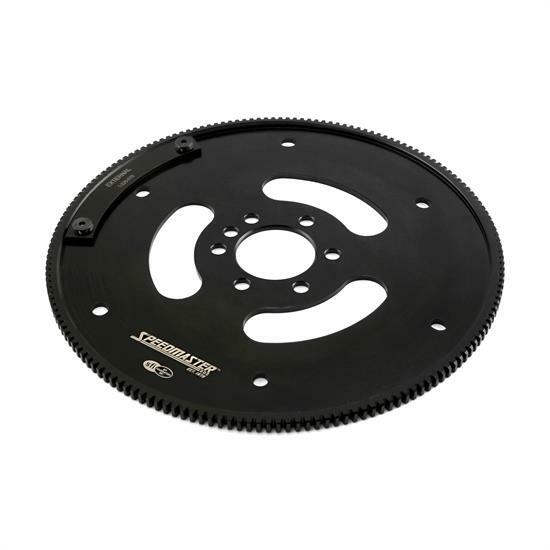 This one piece billet steel flexplate offers the strongest gear teeth, the least runout, and best longevity on the market. Every Speedmaster flexplate is 29.2 SFI Approved and will withstand the extreme power and rpm of your performance application. Features a bolt on weight for internal and external balance options.